We Are One of The Most Experienced Reverse Mortgage Loan Providers in Texas. We Have Helped Over 750 Texas Homeowners Eliminate Their Monthly Mortgage Payments. We provide reverse mortgage loans for Texas senior homeowners. 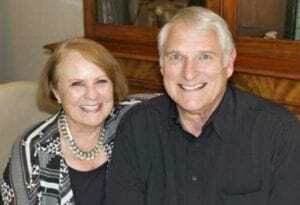 We are Bob and Debbie Worley, owners of Lone Star Reverse Mortgage, Inc., a Texas owned and based reverse mortgage business serving Texas Senior Homeowners. Reverse mortgages for Texas homeowners is our only business and our primary goal is to provide you with complete information regarding reverse mortgage loans as they apply to your specific situation. A reverse mortgage is not appropriate for everyone and does not fit everyone’s circumstances. We believe you should fully understand the details of a reverse mortgage and only move forward if you determine it would be a benefit to your specific circumstances. Our experience in providing Texas homeowners with accurate and factual information sets us apart from the competition. We always provide the homeowner with an educational and informative experience complete with good old-fashioned customer service. We will answer your questions about reverse mortgages including eligibility requirements, the process of obtaining a reverse mortgage and what you should be concerned about when reviewing your financial options. The complete process is a no pressure, ethical and honest relationship. Contact us to get current, up-to-date calculations on how much money you can expect to receive from a reverse mortgage based on the equity you have available in your home. We will estimate your amount based on specific factors such as your age, home value, retained equity and current rates. A substantial amount of equity is needed to make a reverse mortgage work. As a rule of thumb, you will need a minimum of 50% or more equity in your home. And, as with any mortgage you will be responsible for paying your property taxes, homeowner’s insurance and maintenance costs. A reverse mortgage, also known as HECM (home equity conversion mortgage) loan, is a powerful and proven financial instrument that allows you to access the equity you’ve accumulated in your home. In the state of Texas, both spouses must be at least 62 years of age and live in their own home with considerable equity. The significant difference between a reverse mortgage and a forward mortgage is that there are no principal or interest payments required on the home while the borrower occupies the property. The equity built up over years of mortgage payments can be paid to you. Unlike a traditional home equity loan or second mortgage, no repayment is required until the borrower(s) no longer use the home as their principal residence. A reverse mortgage can be used as a tool to secure and plan for your future. No monthly mortgage payments are required because a reverse mortgage enables homeowners age 62 and over to borrow against the equity in their homes without having to sell the home, give up the title, or take on a new monthly mortgage payment. This financial program is called a reverse mortgage because the payment stream is reversed. Instead of making monthly mortgage payments to a bank or lender as you would with a regular mortgage, the lender or bank makes payments to you. One of the most important advantages of a reverse mortgage is that it allows you to continue to live in your home and you retain the title to your property. We exclusively serve Texas Senior Homeowners across the entire state of Texas. We serve ALL cities and counties in Texas including Dallas, Austin, Houston and San Antonio, and all the rural communities throughout our great state. We personally meet with 85% or more of our customers. Texas Reverse Mortgages are all we do! Reverse Mortgages are 100% of our business. We provide senior homeowners with current up-to-date information that is free, and with no obligation what-so-ever! Complete and submit the form on the right side of this page and we will contact you with specific information and let you know how much money you can expect to receive from the equity in your home. And, remember, there is absolutely no obligation or cost for the information. As lifelong Texas residents, we understand the value people in Texas put on their word or a handshake. We started our business a decade ago on some very simple principals. We wanted to offer our services to Texas homeowners and bring genuine value to our clients as well as ourselves. We believe in the fundamentals of high personal integrity, honesty and simply doing the right thing and being fair to all parties. We believe our success is a direct result of us treating our customers with the respect they deserve. Yes, our business is to help Texas senior homeowners 62 and older create better lives for themselves. As seniors ourselves we understand the concerns and unease that comes with worrying about the future and trying to maintain a good quality of life. Debbie and I have helped hundreds of Texans determine if a reverse mortgage is right for their individual situations. We pledge to treat you fairly and honestly. We will answer all of your questions in a no-pressure, no-obligation environment and help YOU decide if a reverse mortgage is in your best interest. In Texas, and in the Reverse Mortgage business, EXPERIENCE MATTERS, and together we have over 20 years helping Texas homeowners get the most money available from the equity they have accumulated in their homes. Reverse Mortgage laws in Texas and across the nation have recently changed, so experience is crucial to navigating through the details of a reverse mortgage and determining what plan of action is right for you. There is no substitute for our experience, we are the best at what we do. When selecting a reverse mortgage provider you need someone who has been through various situations associated with the process and has delivered successful results time and time again for its customers. We have helped over 750 TEXAS homeowners eliminate their monthly mortgage payment. Call us at 972-388-3338 and give us the opportunity to help you. We serve ALL OF TEXAS and for your convenience, we can come to you. that you may be eligible to receive from a reverse mortgage. Reverse Mortgages have provided much-needed help for many senior homeowners and they have solved many of the hardships senior homeowners have encountered. However, we understand every circumstance is different and a reverse mortgage is not always the best solution for someone’s particular situation. So, if a reverse mortgage is not ideal for your individual situation, we will without hesitation, tell you the truth and not encourage you to get one. We provide senior homeowners with secure lending at the best rates available and we also provide the best product available for your unique and individual needs. Our goal is to provide the information and specific details you need to fully evaluate the opportunities that are available to you. We will answer all of your questions in a no-obligation, no-pressure environment. Debbie and I pledge to treat you fairly and honestly. ★ You will continue to own your own home. The bank does not take title to your home. The deed and title remain in your name. ★ No monthly mortgage payments are ever required with a reverse mortgage. You will continue to be responsible for taxes and insurance on your home. ★ There are normally no out of pocket expenses to close on the reverse mortgage with the rare exception sometimes being mobile homes and rural property. ★ There are no limitations on how the funds from a reverse mortgage can be used. If you have an existing mortgage and you have enough equity, it will be paid off at funding. ★ You can pay-off credit card and/or medical bills. No limitations on how the funds can be used. Investing in Annuities is not recommended. ★ You can sell your home if you decide to and any future appreciation is yours after the balance due on the reverse mortgage is paid. ★ This is a non-recourse loan for you and your heirs. This means that if the loan balance is higher than what the home can be sold for, the borrowers or their estate do not have to come up with the difference. Upon your death, your heirs can keep your home by repaying the full loan balance. ★ Reverse mortgages are regulated and insured by the FHA. We find the best rate that will provide the highest net loan amount for you. Along the way, we give you old-fashioned personalized service that is second to none! You will work directly with us. We are the owners and principals of our company. We don’t send a Notary to you to do our job! We want to personally understand your needs and accurately answer all your questions based on your individual situation. When considering a reverse mortgage, as with any important decision, you should make the decision with all the facts in hand and with all of your questions answered directly and honestly. We will answer all of your questions in a no-pressure, no-obligation environment and help YOU decide if a reverse mortgage is in your best interest. You can reach us at 972-388-3338. We look forward to speaking with you! Your most reliable & trustworthy source for reverse mortgage information in Texas. Bob Worley – NMLS # 211905 – TX Lic.# 50404 • Debbie Worley – NMLS # 211059 – TX Lic. # 67929 Lone Star Reverse Mortgage, Inc. NMLS # 769381 Lone Star Reverse Mortgage, Inc.
About: Lone Star Reverse Mortgage, Inc. is privately owned by Bob and Debbie Worley. They bring old-fashioned personalized service to Texas senior homeowners. Bob and Debbie offer extensive experience in the reverse mortgage industry; reverse mortgages are all they do. They have a proven track record demonstrated by their long list of satisfied customers. Experience matters in the Reverse Mortgage business and with a combined experience of over 20 years helping Texas homeowners with reverse mortgages. “We do reverse mortgage loans others can’t”. 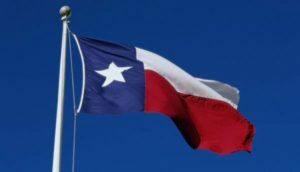 Lone Star Reverse Mortgage, Inc. serves the entire state of Texas including Dallas, Fort Worth, Austin, Houston, San Antonio and all regions throughout the state. "Thank you so much. The two of you literally saved my home and my business. I would have lost everything but for your diligence, your genuine concern and generosity. Never have I done business with anyone who is so quick to respond to every email, every call, and every problem. I tell everyone I believe you are both angels - and to me, you certainly are." “Without a mortgage payment, we are able to “go” more, eat out, etc.! Bonnie also purchased a new pickup…something she always wanted! And…we have not even touched our Line of Credit. It’s so much easier to pay just our taxes and insurance! Yeah! A sincere thank you for your efforts in getting our file to closing. We greatly appreciate the extra attention and considerations you gave us to accomplish that task. We wish you continued success. "We are very pleased with the whole process. Thanks!" “I received excellent help and guidance from Cassie! She went beyond her means to get me qualified (for this loan). I appreciate such service very much! Job Well Done!" Contact us for estimate on the amount of money that you may be eligible to receive from a reverse mortgage. © 2019 Lone Star Reverse Mortgage, Inc. All rights reserved. Website by Corporate Marketing Associates. The information and content on this website is not from HUD or FHA and has not been approved by HUD or any government agency. CONSUMERS WISHING TO FILE A COMPLAINT AGAINST A COMPANY OR A RESIDENTIAL MORTGAGE LOAN ORIGINATOR SHOULD COMPLETE AND SEND A COMPLAINT FORM TO THE TEXAS DEPARTMENT OF SAVINGS AND MORTGAGE LENDING, 2601 NORTH LAMAR, SUITE 201, AUSTIN, TEXAS 78705. COMPLAINT FORMS AND INSTRUCTIONS MAY BE OBTAINED FROM THE DEPARTMENT’S WEBSITE AT WWW.SML.TEXAS.GOV. A TOLL-FREE CONSUMER HOTLINE IS AVAILABLE AT 1-877-276-5550. THE DEPARTMENT MAINTAINS A RECOVERY FUND TO MAKE PAYMENTS OFCERTAIN ACTUAL OUT OF POCKET DAMAGES SUSTAINED BY BORROWERS CAUSED BY ACTS OF LICENSED RESIDENTIAL MORTGAGE LOAN ORIGINATORS. A WRITTEN APPLICATION FOR REIMBURSEMENT FROM THE RECOVERY FUND MUST BE FILED WITH AND INVESTIGATED BY THE DEPARTMENT PRIOR TO THE PAYMENT OF A CLAIM. FOR MORE INFORMATION ABOUT THE RECOVERY FUND, PLEASE CONSULT THE DEPARTMENT’S WEBSITE AT WWW.SML.TEXAS.GOV.